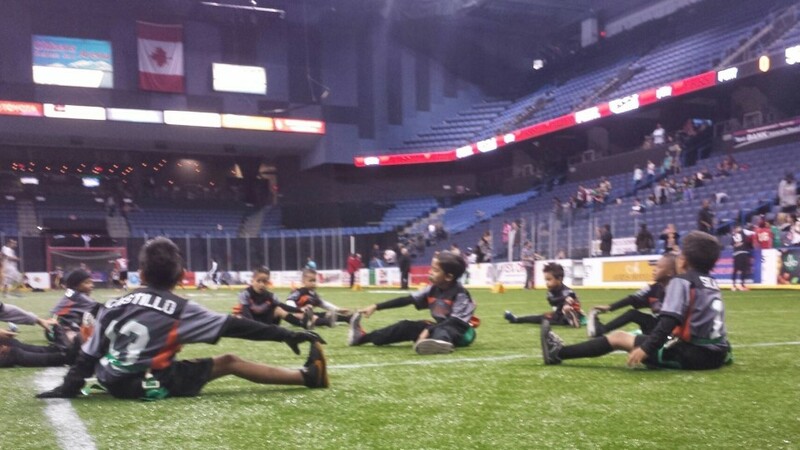 Flag tournament at Citizen's Bank Arena! Tackle players supporting our flag players! ONE HURRICANE FAMILY! End of season banquet at Scandia! Our mission is to promote sportsmanship, teamwork and good character on the field and more importantly in the classroom. 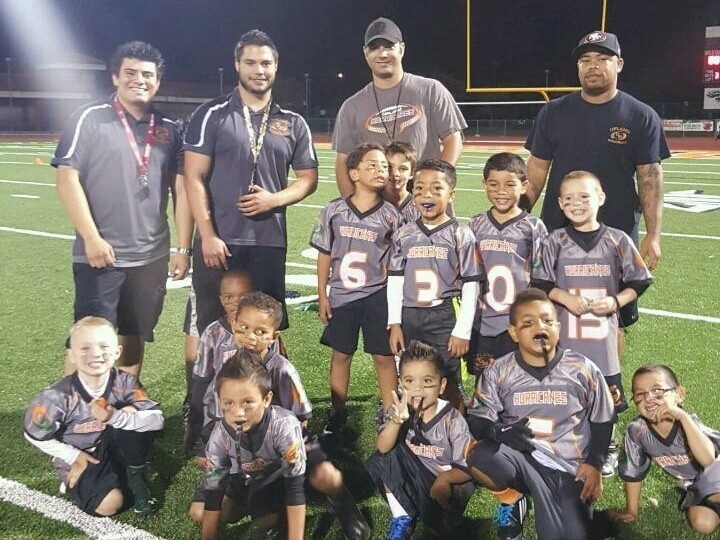 We believe that participating in our flag football program will help instill children with life-long values of teamwork, dedication and superior work ethic which will serve as a solid foundation for their journey. 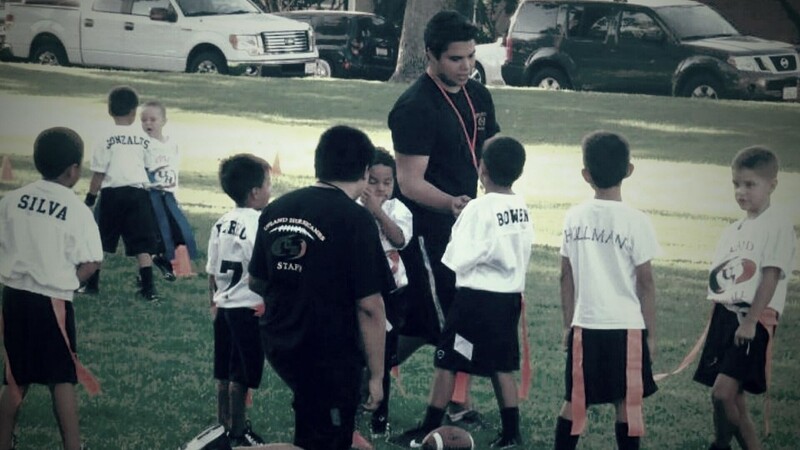 We are committed to teaching the fundamentals of flag football in a safe and enjoyable environment which allows our children to flourish and learn. Coaches will emphasize teaching players multiple position so that they are constantly learning and experiencing new facets of the game. Our coaching philosophy allows every player the opportunity to learn where he or she may best fit at the next level of Hurricanes football within our tackle program. 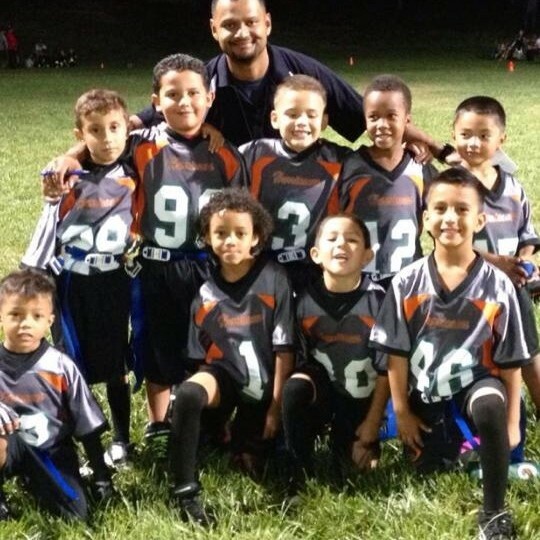 The 2019 season is our 8th year for the Upland Hurricanes flag football program which has participants of ages 4-6. 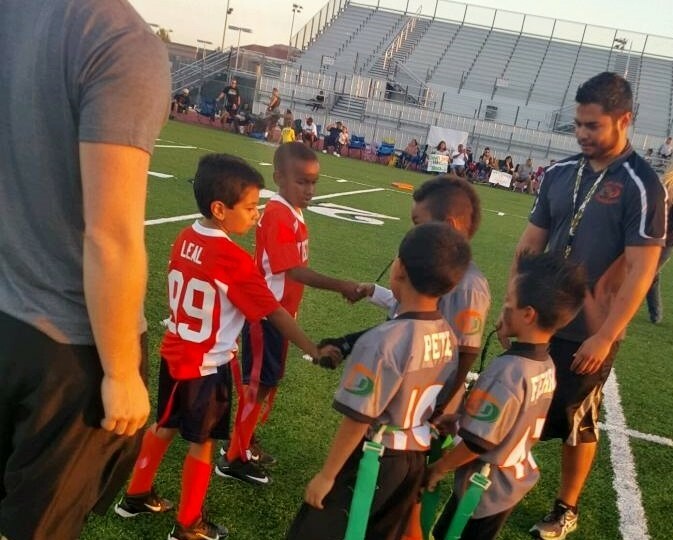 Our opponents are determined on neighboring chapters fielding flag programs but Eastvale, Fontana and Jurupa have been consistent partners and solid competition each season. 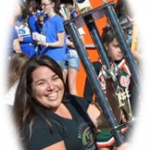 Our flag program has been very successful each year always finishing with a strong winning season including an undefeated season two years ago. 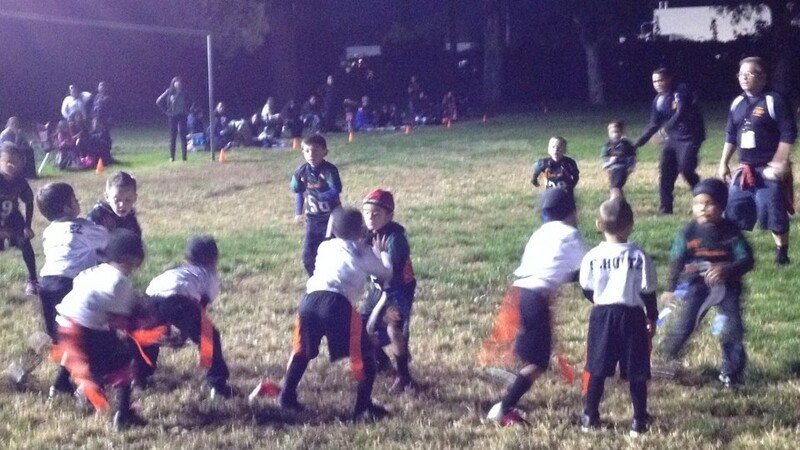 This year our focus will be on hosting our 6th Annual Flag tournament “under the lights” at Upland High School! 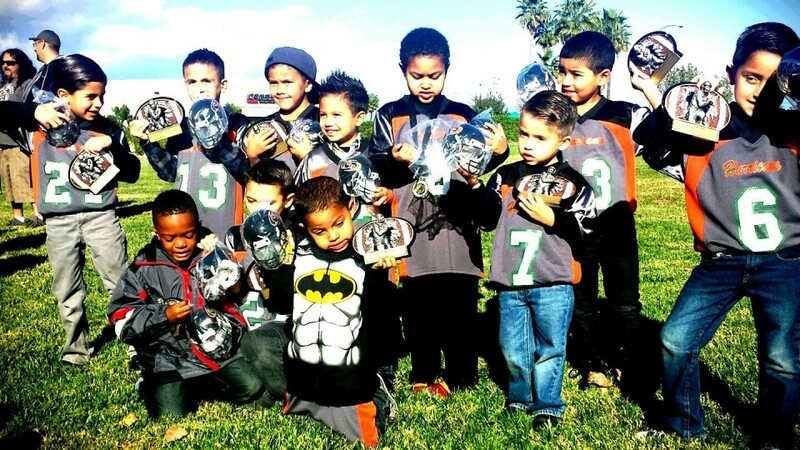 Our flag program is part of Upland Hurricanes Jr. All-American Football and Cheer, Inc. and not part of the So Cal Jr. All-American Conference but is fully insured. The cost to register is $185 and a single $100 fundraiser; we WILL NOT ask you more additional fundraising throughout the season like most other leagues.. These fees will cover practice jersey and shorts, game jersey, all league, field, equipment and insurance expenses, picture package, trophy and end of year chapter banquet. In addition, our players keep their high quality custom flag jersey! Please note that all participants must sign up in person and submit full registration payment of $185 and complete the (1) mandatory fundraiser or buyout of $100 before the deadline of 7/17/2019 in order to secure a spot. Returners are not guaranteed a spot until they complete the registration process as well. Conditioning Practice 7/9-7/18: Tuesday and Thursday from 6:00 – 8:00 PM at Upland Jr. High School 444 E. 11th Street. Regular Season Practice 7/23-11/7: Tuesday, Wednesday and Thursday from 6:00 – 8:00 PM at Upland Elementary School and Upland Junior High. Game Schedule: Full schedule will be distributed and finalized no later than 9/2. Regular season games will be held either Tuesday, Wednesday or Thursday depending on schedule. Home games will be at Upland Jr. High School and Away games will be at neighboring chapters. 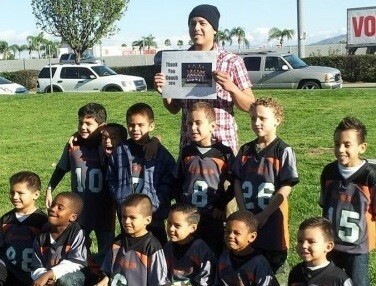 Teams will consist of at least 8 players with a maximum of 12 players per team and play a 8-on-8 style football game. Ages are based on age as of July 31st and there is no weight limit since this is a non-tackle sport. This program is open to all boys and girls within the age requirements. Returning Players: All returning Hurricane flag players will be placed on their team from the prior season. New Players: All new players will enter a draft process unless they were recruited by a specific coach. If a player was recruited by a specific teams coach, the parent is responsible to communicate the team name and coach upon signing up. In order to keep the draft process fair for all team you will not be able to state you were drafted by a coach after signing up. We require all participants to maintain a minimum 2.0 GPA to participate and do require a report card upon registration. Anyone in danger of falling below a 2.0 GPA will be required to submit progress reports to their Team AD for review. We value education! At our end of year banquet we recognize all our scholar athletes and we are pleased to state that we have over 70% of our participants achieving a 3.0 GPA or higher! 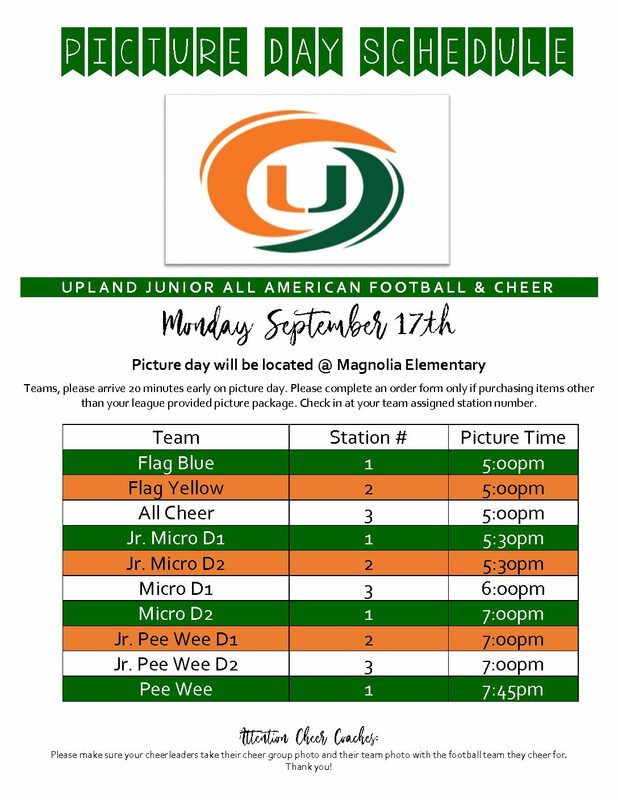 Each player will be required to purchase a spirit pack available at the snack bar which consists of an Upland Hurricanes white practice jersey and black shorts. Players will also be required to purchase black socks, cleats and a mouthpiece. Our program is run entirely by dedicated volunteers and we’re always looking for great coaches and team staff positions. If you would like to volunteer please apply at the link below as either coach or team staff. All volunteers are required to submit a background check (DO NOT COMPLETE UNTIL APPROVED TO BE ON STAFF) to ensure the safety of all our participants. There will never be a refund for fundraiser or sponsorship money. No refunds are given to a player, cheerleader or mascot who is expelled from any team as a result of discipline. In cases where a player must be cut from a team based on the team composition rule of 12 players per team, a 100% refund of the registration fee will be issued by check within 2 weeks. As Parent/Guardian, you are responsible for your behavior, as well as, the behavior of other individuals who have come to watch your child or the children under your guardianship participate in our program. Additionally, local authorities will be notified of all threats, whether physical or verbal, made against children, adults, chapter officials, or referees which can lead to arrest and prosecution. Safety and the protection of all is our number one concern.